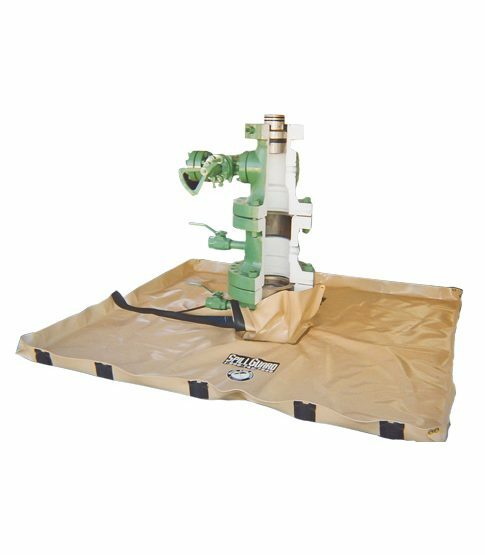 Footprint8' x 8' x 12"
Protect the environmental integrity of your location from oil or chemical spills resulting from well servicing operations. Well head spillguards are lightweight, compact, portable and durable. No inflation is needed for these chemical resistant well head spillguards.